The plugin is very simple to use: once your visitors set up an alert, they get an e-mail to confirm it. 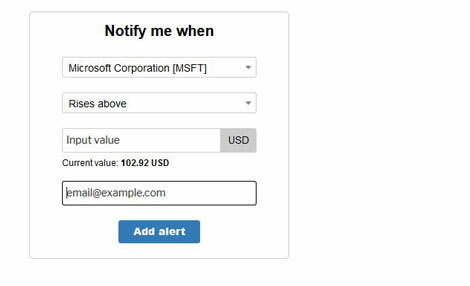 Stock Price Alerts then pulls current stock prices and sends an alert when the specified alert condition is met. Over 6000 stocks are supported at this time. 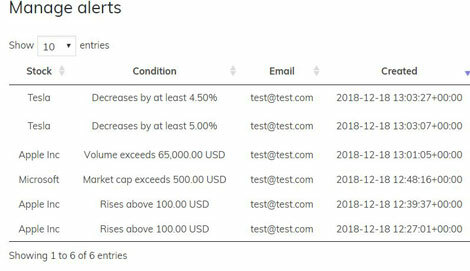 Stock Price Alerts allows an unlimited number of alerts per visitor. It is ready to be translated. It supports price rise/fall, trading / market cap value, and other conditions.